Palestinian journalist from Gaza, born in 1991, studied journalism at the Islamic University of Gaza, and works as a freelance journalist for various local media outlets. Participated in covering the third aggression against Gaza, & basically writes in social and political issues. As they left the gate of their school, residing at the western area of Sheikh Jarrah neighborhood in east Jerusalem, Marah Bakeer, a student in her last year of high school (Tawjihi), insisted to her friend, Asma’a Elkhatib, to join her family to take lunch at her home. At first, Asma’a refused her friend’s invitation, but after many attempts of convincing her, she had eventually accepted Marah’s request. On the way home … The two 16-year old girls, wearing their dark blue uniform, and school bags on their backs, left the bus at the entrance of Beit Hannina town, and were excitedly talking about their school life and the crucial year they have to pass; to move to college and build up their future. 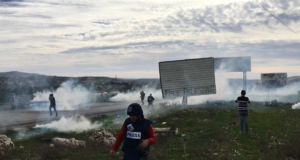 In the midst of their talk, the Israeli forces stopped them at the main road of the town. One of the soldiers came close to them, and fired twelve bullets towards Marah’s small body, while he was shouting “Subversive .. subversive!”. Asma’a freaked out and had no idea about what to do or where to go when she saw her friend Marah covered with blood, crying, while the soldiers were only watching her bleeding. Marah was left bleeding till she lost consciousness; then the soldiers moved her to the Israeli hospital Hadassah to receive medical treatment, while her friend Asma’a was finally able to escape. This was on 10.12.2015 at noon. The moment Marah was being shot by Israeli forces on the street. With too much fear and tension, Asma’a quickly called Marah’s mother, Sawan, and told her what happened to her eldest daughter. At the beginning, the mother did not believe what she heard and what came to her mind was that she was only joking. But the fear and crying sound of Asma’a made her believe the story, which then caused her to lose control and fall on the ground. With a faint voice, the forty year old mother said: “When we heard the news, we immediately went to the Israeli prison in Al Isawia; to ask about what happened with my daughter, but the occupation forces refused to tell us anything”, and according to the mother, the only information the occupation forces gave the family was that their daughter was having a surgery at Hadassah hospital. 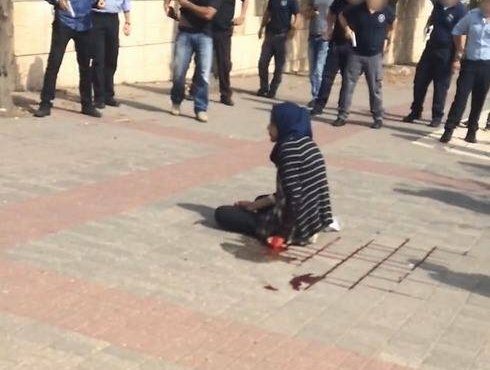 Israel claims that “Marah”, who lives in a family of five members, was holding a knife in her hand to stab one of the soldiers who were in the place of the accident. However, their story was denied by Asma’a and a group of students who were in the place at the time of the incident. Also, a video tape was published and widely shared via social media showing Marah screaming and crying with no knife near her. After she was moved to the Israeli hospital, she was taken to the operations’ department for a nearly two-and-half-hour surgery in her left shoulder; where multiple bullets had settled. According to the lawyer assigned by the family for Marah’s case, Sana’a Kwaik, the doctors had inserted platinum bars to the injured girl’s shoulder and hand, as a result of significant fragmentation in the shoulder’s bone. Marah spent twenty days in the hospital bed, without a mother beside her to comfort her, or a father to give her strength. The only thing she had was herself, with too much pain and weeping, and a little sleep. 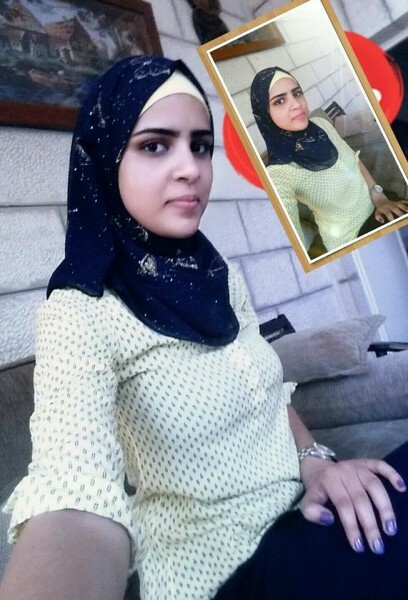 Amjad Abu Asab, head of the Jerusalem district committee of prisoners’ families, said that Marah was heavily guarded by security personnel after being accused of planning to execute a stabbing. In that period, the Bakeer family made many desperate attempts to have the occupation’s permission to visit their injured daughter at the hospital. But all their attempts failed. Their lawyer, Sana’a Kwaik, ensured during her interview in the phone: “Israeli soldiers assaulted Marah, and during the trial, which was held in absentia, no evidences were provided to prove that stabbing was to take place, and every time I ask about evidences, a short Israeli answer is given to me: “this is a secret file that we cannot talk about””. Injuries in Marah are not yet cured. However, the Israeli authority didn’t heed to her deteriorating health condition and moved her to Ashkelon prison, to stay with another two wounded young female prisoners, Istabraq Nour and Ihan Arafat, 14 and 15 years of age, in an isolated room lacking the basics of a decent human life. 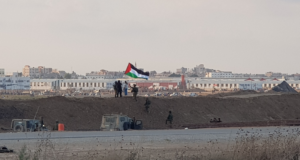 “When I was moved to Ashkelon prison, one of the wardresses removed the dressing covering my injury; I’m in need for medicine and medical care for my injury” This is what Marah told the lawyer after three days of her stay in jail. Despite the medical negligence and the pain that took over Marah’s body, Israel didn’t show any mercy to her when she was assaulted along with other prisoners by Israeli policewomen. 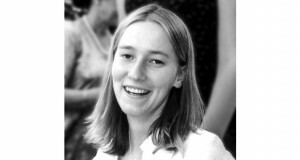 Marah spent a week in Ashkelon prison, and then she was moved along with her mates to El Ramla prison. It is worth mentioning that this prison is specific for female criminals, to find themselves, again, living in hell-like life conditions. “I was inspected while I was semi-naked in a humiliating way. The prison condition is very bad, they never treated us with mercy” another quote Marah told her lawyer in her second visit. In her seventh day of jail, when the Israeli authority finally gave permission to her family for a visit, her mother said: “Marah is keeping her spirits high, she asked me to bring her books to continue what she planned for, but her body is very ill and she’s in too much pain as a result of her shoulder’s injury”. The visit was only for fifteen minutes, the injured girl returned to her prison, and the family returned home praying to God to ease the pain of their daughter. Marah stayed with her mates for nearly two weeks at El Ramla prison, and then they were moved to the Hasharon Israeli prison. According to Marah’s mother, when Marah reached the Hasharon prison, Haneen Zoghbi, member of the Israeli parliament (Knesset) visited Marah, who told her: “I want to complete my year of school, prison and medical negligence won’t hinder my way to achieve my dream”. Marah’s story is not the first, and seemingly won’t be the last; as the head of the Palestinian prisoners’ issues committee, Issa Qraqeh, clarified that besides Marah, there are four other injured female prisoners among 39 others arrested during the Jerusalem intifada (uprising) since the beginning of October, and these are: Istabraq Nour, Amal Taqatqa, Shoroq Dwyat, and Helwa Mhamra.